Every family has a few stories that are told year after year with warm memories of loved ones who have left us. One of my favorites involves my Gram who was a British war bride after WWII. She still had many friends back across the pond after the war; times were tough and she sent many care packages over to them with goods not available and treats for the kids. One of those kids remains a family friend and remembers the arrival of those packages fondly. As fortune shined upon him he wanted to do something to remember my Gram’s kindness after she passed away. Now every holiday season we receive a hamper from the iconic Fortnum and Mason full of holiday treats. This year I brought back a little jar of chutney and for the past month I have been deciding what to do with it. That started off my thinking for this recipe and it turned into a way to finish off odds and ends. I still have a decent amount left of the 40 lbs of squash I bought at the Farmer’s Market this fall to store in garage, so I knew that was involved. Add in mascarpone and smoked blue cheese and my mind turned toward polenta. We eat a lot of the stuff, the possibilities are endless. This version is served soft and has roasted squash and two cheese stirred in. Topped with a pile of sauteed greens, a tangle of caramelized onions, and a dollop of chutney it was pure perfection! If you don’t have a jar of British chutney laying around – any chutney will do, or salsa, or even hot sauce. 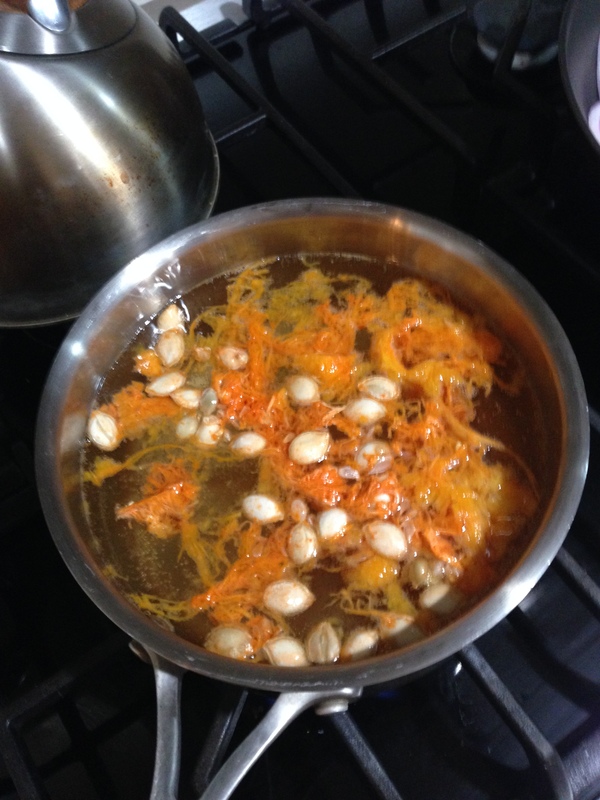 Cut squash in half, scrape seeds into a medium saucepan and set aside. 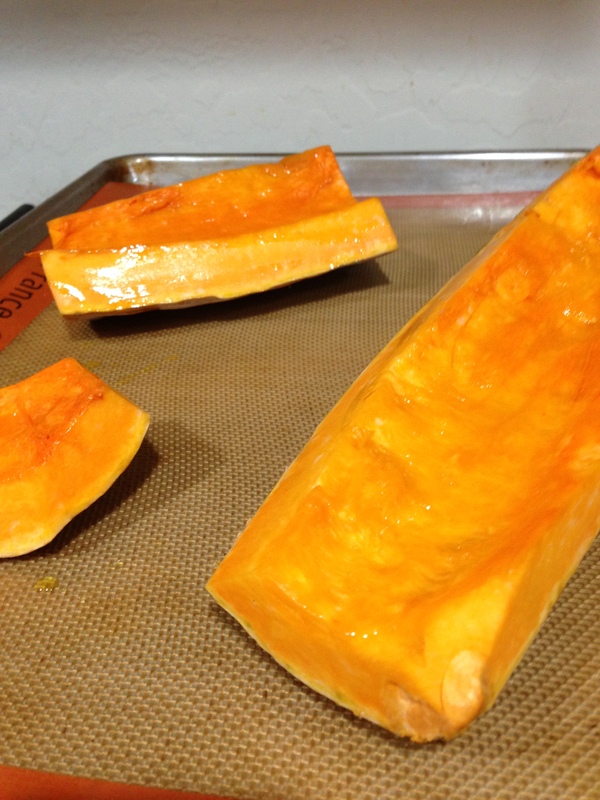 Rub 1.5 tablespoons oil into squash and set cut side down on large baking sheet. Roast until easily pierced with a butter knife, about 45 minutes, set aside until cool enough to touch. 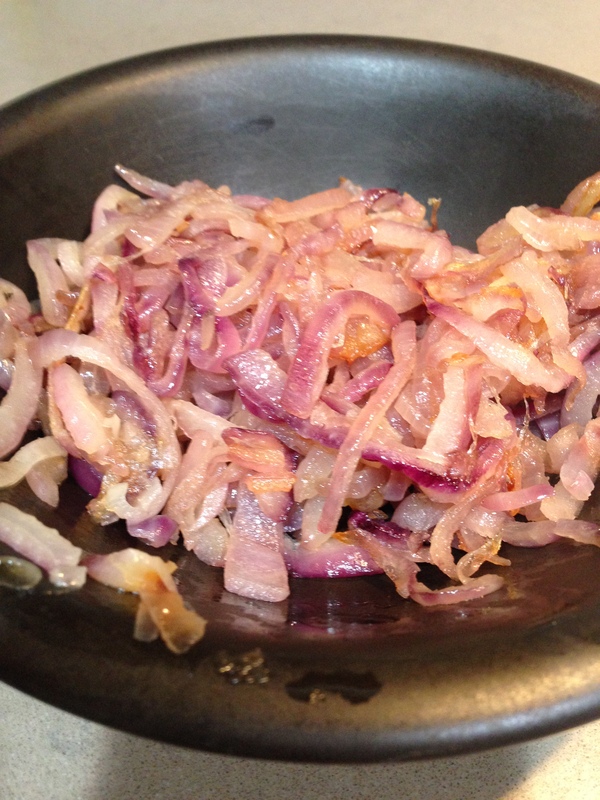 Heat 2 tablespoons oil in a medium fry pan, add sliced onion saute until soft and beginning to brown, reduce heat and continue cook stirring frequently until very soft and limp, about 15 minutes. Scrape into a bowl and set aside. Meanwhile add 6 cups water to seeds, bring to a boil and let sit for 10 minutes, strain and pour into a large heavy bottomed pot . 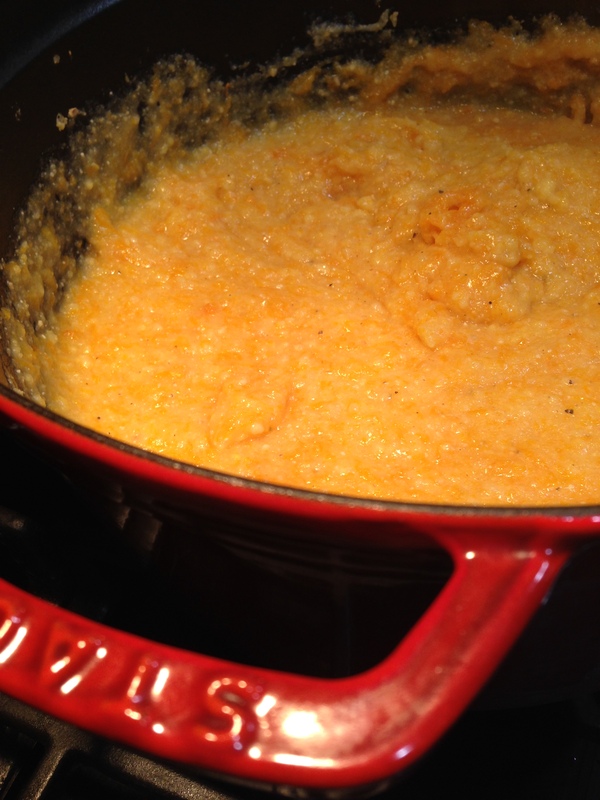 Bring “stock” to a boil, slowly whisk in polenta and reduce heat to low. Cover put, and cook until thick and creamy and cornmeal is tender about 20 minutes. Stir frequently adding extra water if necessary. 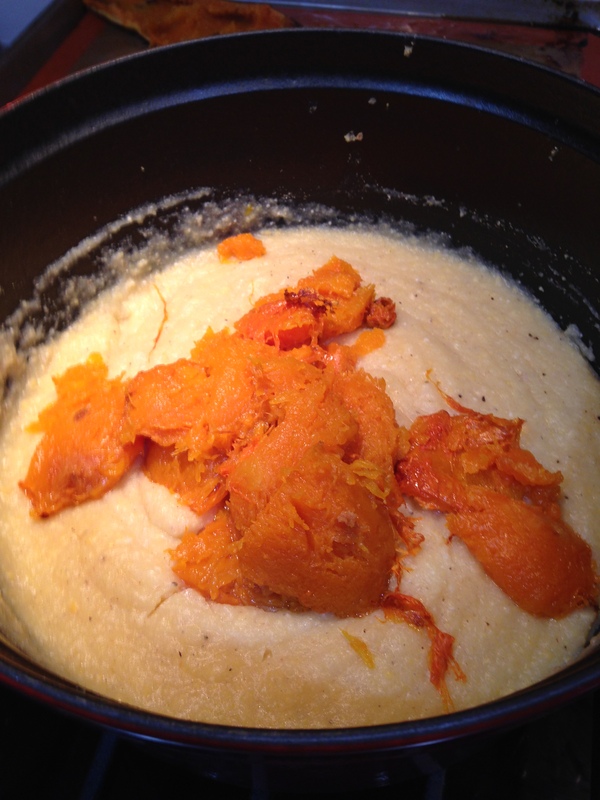 Once creamy scrape squash into pan and whisk to combine, cook for an additional 5 minutes to combine. Turn off heat and whisk in cheeses and butter. Adjust seasoning and cover until ready to eat. Heat last 1.5 tablespoons oil in the same medium fry pan, add kale and saute until bright green about 5 minutes. Add soy sauce and cook for an additional 2 minutes. 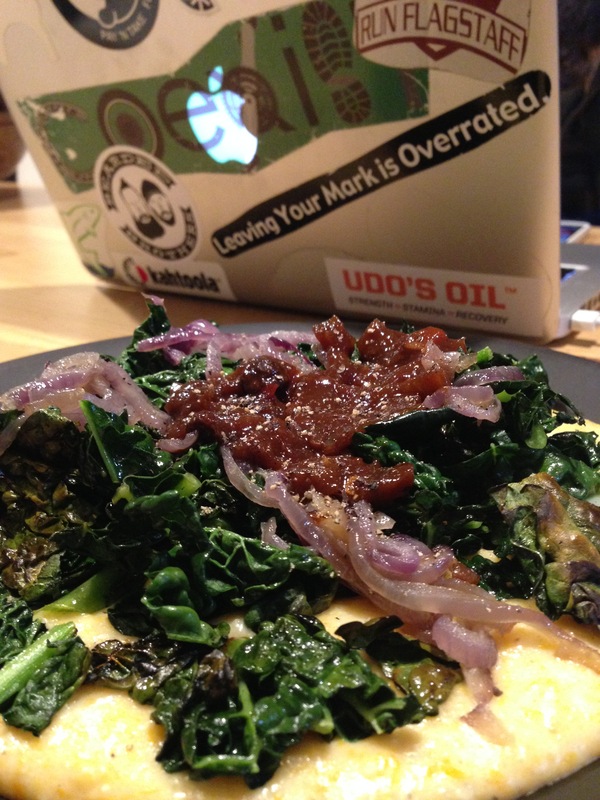 Spoon polenta onto a plate and top with greens, onions, and chutney.